Today I have the pleasure of interviewing Flossie Benton Rogers, one of my mentors and member of Sunshine State Romance Authors. I met Flossie, as well, at the plotting workshop in August 2012. Flossie was Secretary at the time. It was Flossie’s advice and guidance that has helped me onto my path of being a multi-published author, along with Loretta, Dylan and Jessica. In fact, Flossie introduced me to Twitter, where I met my publisher, Black Opal Books. So for that alone, I’m so grateful to Flossie. Me: Thank you so much, Flossie, for taking the time out of your schedule of writing commitments to speak with me. I love the fantasy worlds you’ve created. What made you decide on the paranormal, fantasy romance genre as your prime focus? Flossie: It’s a pleasure to be here, Ronnie. You are an amazing colleague, and I certainly admire your drive and determination, as well as your creativity. Me: Awe, thank you. Likewise! 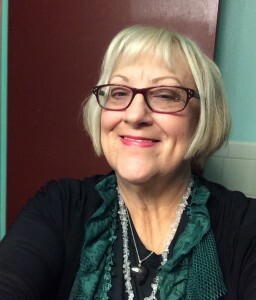 Flossie: I write in the genre of paranormal fantasy romance because I have a deep connection with mythology and fairy tales, as well as an affinity for the realities beyond the five senses. In the Wytchfae novels the magical beings live in universes that are parallel to the human earth world, and accessible pathways exist. It’s also fun to incorporate intuitive modalities I know about and am comfortable with into the books, such as reiki, healing stones, and Tarot. Me: We resonate so much with each other. Reiki, healing stones, and Tarot are in Gemini, too. In a present day thriller. In your novels you refer to the Greek and Roman myths. I do that too in Gemini where my protagonist, John Trenton, is in the first romantic interlude with Vicki, the love interest, and he compares her to the Greek Goddess, Artemis. Vicki’s birthday is Artemis’ Festival Day. She’s my favorite Goddess, and I believe I am Artemisian. In Dark Guardians you had something similar when Samael was with Layla. With them it was Poseidon in their conversation. Why did you incorporate the myths into your novels? Who is your favorite? Flossie: The Wytchfae heroines and heroes generally maintain relationships with their patron goddesses and gods. As you said, for Samael in Guardian of the Deep, it is Poseidon, lord of the seas and the deity who gifted humanity with the beauty and utility of horses. The patron deity of Helios Warrior Gabriel Hawk in Lord of Fire is the sun god Ra. In Demoness Dreams, which comes out in late April, Bane Heughar reaches the acclaim of being deemed Odin’s Warrior. Kelly, the heroine in Wytchfae Runes, relates with Epona, the only Celtic goddess to be worshipped by Roman soldiers. Epona then went on to be the heroine of her own book, Mind Your Goddess. Still, Epona has her own patron goddess, the Great Goddess, mother of all. You can see the spiritual connections of the characters with their patron deities if you visualize Russian nesting dolls. One doll always contains another, and in the Wytchfae universe this continues ad infinitum. There is always another layer of reality to be revealed. Another way to look at it is souls and oversouls. For example, Kelly possesses some of the characteristics of her patron goddess, Epona, and strives toward the greater command of power that Epona displays. As for a personal favorite, that is a tough one. I am drawn to many. I love Epona so much that she got her own book. Another strong connection I have is with the triple goddesses, such as Artemis/Selene/Hecate and The Morrigan. I particularly enticed by the archetypal mysterious magical crone who lives in a cottage deep in the forest. This may stem from my early love of fairy tales and from an elderly woman I called Granny. She lived on the edge of a swamp, and I my imagination flew free with fantastic adventures when I stayed with her on weekends. Me: Talking about ourselves, in my novels, I’m both the antagonists and protagonists. It’s a catharsis for me when I’m in deep POV. Which parts of Flossie are in your characters? She dove straight down and clutched him in killing claws, rejoiced in his piercing screams, and then she plunged deep into the dark waters. Especially the long dark hair tumbling across her shoulders. It gleamed like rich silk, and he wondered how it would feel tangled in his fingers. Her gaze lingered on his chest, and her fingers twitched, longing to touch him there. He smelled of deep woods combined with a hint of the open sea. Me: What was your thought process to create the demons, fairies, goddesses, and other magical beings? And your characters’ names are so intriguing! How did you come up with them? Flossie: The various types of characters simmer around in my mind and then soar onto the page. Okay, sometimes they sputter, but usually they soar. Some of the character names are drawn from mythology. Skada, for example, is a variant of the Norse giantess Skadi. Epona is a goddess name. Eshigel and Samael have angelic connotations, as does Gabriel from Lord of Fire. Gabriel’s heroine, Garnet, got her name from the gemstone. Her essence reminded me of a deep burgundy jewel. Seraphina in Time Singer originally appeared as Kelly’s friend Sera in Wytchfae Runes. When she became the star of her own book, she told me her real name was Seraphina. Me: Can you please share your journey to finding a traditional publisher with my readers? I know you had rather unusually expedient results. Flossie: The goddess Fortuna surely shined down upon me. My lifelong dream was to be a writer. As library director, I became acquainted with authors such as Loretta Rogers and Dylan Newton, who were generous enough to present National Novel Writing Month programs for the library. Later the three of us jumped off the cliff to start Sunshine State Romance Authors. Loretta and Dylan have worked tirelessly to help other writers. I retired, and with encouragement and such great role models, decided to become a published author. I give hearty applause to my mentor Loretta, who encouraged me to attend the Silken Sands Writing Conference in the Panhandle. She is also the most amazing critique partner on the planet. We drove up with another SSRA member and her husband. On the way, we worked on my pitch for my book, and boy was that a hoot. Thank heaven I signed up to pitch to Sandy Sullivan, the CEO of Secret Cravings Publishing. She liked my story idea and invited me to send her the manuscript. I did so, and when she offered me a contract, I floated around the Elysian Fields for several weeks at least. Secret Cravings published Wytchfae Runes, and I subsequently wrote Guardian of the Deep, set in the same paranormal fantasy world, and submitted it. Based on that, Secret Cravings offered me a contract for a total of seven Wytchfae books. The one coming out next, Demoness Dreams, is the sixth in the series. It will be followed by Soul Weaver. Me: Um, Goddess Fortuna. She’s with me on a Thursday when I go to the casino. LOL. Thursday is her day and green and purple are her colors, just as an aside. I always like to give my readers something they can learn about becoming a traditionally published author. What advice would you give that could not be found in a Google search? Me: I mentioned above that you introduced me to Twitter, and I do consider you my Twitter guru. What advice would you give to writers to make the most of their Twitter experience, and to gain followers? Flossie: Never buy followers. It’s a waste of time and money. Plus it’s not cool. Use free tools to publish your content and grow your followers. Hootsuite is great for scheduling tweets. Round Team enables you to retweet people automatically based on twitter lists. Buffer provides great content you can share. Triberr—which you used before I did, Ronnie—allows you to participate in content sharing. Crowdfire, formerly Just Unfollow, is fabulous for weeding out non-followers and copying quality followers. Twitter itself is an excellent tool for discovering hot topics. Share information and news that will interest your readers. Me: I love learning and going to conferences is a natural fit for me. This summer, I’ll be at International Thriller Writers ThrillerFest, in NYC, for a week, being celebrated in their Debut Author Program. It’s surreal and thrilling at the same time. What conferences have you gone to and how have they impacted your career? What advice would you give to authors, published, or pre-published, to have them get the most out of a conference? Or workshop, as we offer through SSRA? Flossie: Ronnie, you are the conference queen and can provide excellent advice in this area! I previously mentioned how instrumental the Silken Sands Writing Conference was for my career. It put me in the right place at the right time. Based on writing conferences and SSRA workshops I have attended, as well as the many library conferences in my former life, I would encourage attendees to see conferences and workshops as opportunities to develop relationships with those successful in the field. Follow successful authors, editors, and publishers on social media to see how they interact with others and what topics are on their front burners. Emulate the best practices of those you admire. Some of these folks will become part of your writing network. I would also encourage attendees to take ample notes and use the material gleaned. Rather than feel overwhelmed by a vast amount of information, take it in chunks. Start by putting into practice the gems of knowledge that resonate with you. Be bold. Act like a successful author, and you will be. Me: Speaking of conferences, what events do you have coming up where our readers could have an up-front conversation with you? Flossie: On April 16th I and other SSRA authors will appear at the Homosassa Public Library from 10:30am-2:30pm. I am uber excited for the chance to interact with readers. Me: Thank you so much Flossie. Please continue to read and learn more about Flossie and her books! Thank you, Ronnie, for this lovely time. I appreciate you and all you do to support your fellow authors. Best of luck with your upcoming releases! 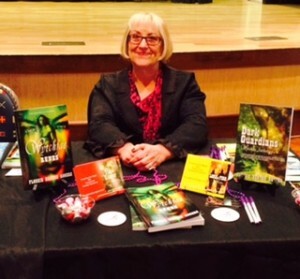 Flossie Benton Rogers is the author of the Wytchfae Series. She shares her passion for mythology by writing sizzling paranormal fantasy romances with fairies, goddesses, demons, and other magical beings. She is a former teacher and library director who enjoys spending time with family and seeing new places. She is always on the lookout for romantic, adventurous story ideas to share with readers. Flossie’s birth chart features sun in Sagittarius with a Taurus moon and Libra ascendant, as befits a 5th generation Floridian and freedom loving mystic. Please feel free to leave Flossie and I comments and questions. And if you have any questions about healing stones, Tarot, Reiki, and Goddesses, I’ll be happy to answer them! What a great interview, and a look at the thought process behind your novels, Flossie. 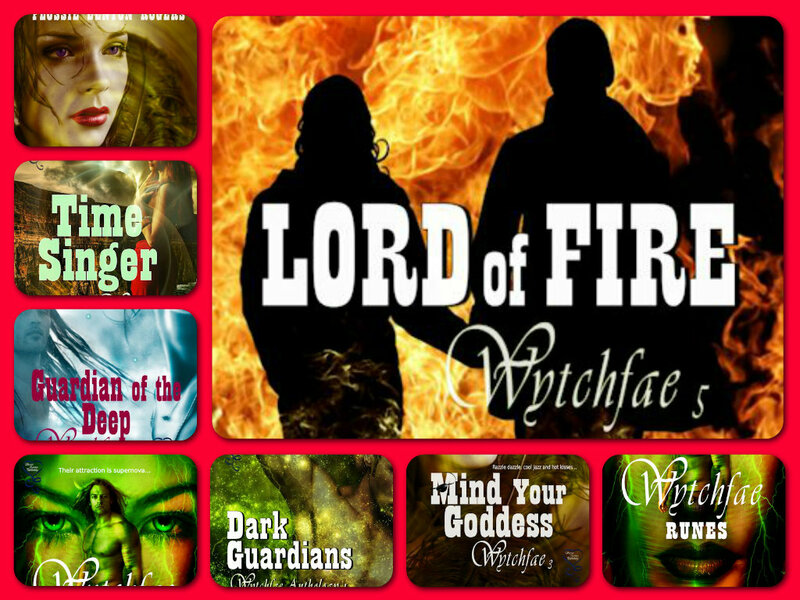 I have enjoyed each of the Wytchfae novels and look forward to the next in the series. Congrats on all your accomplishments. I loved learning about your journey to success and wish you much more! Thanks for stopping by, Mae! it was so much fun working with Flossie. I appreciate your support and kind words, Mae. You’re awesome. I enjoyed all of your books too! Ronnie, I don’t like to say it because master means teacher, not an end all or be all. I don’t like the term master. I think I’ll change it! LOL Flossie, but isn’t that what it’s been called for centuries? I looked up anagrams of master. Stream, tamers, Mrs. Eta, Mr. East, Ram Set, Tsar Me, and Star Me jumped out as possible substitutes lol. Awesome interview! I do admire your diligence and driving and especially your gift in carving unforgettable characters. I learned now a few interesting things about you and from you. Best of luck with your writing, Flossie and finding new fans! Thank you Carmen! It’s wonderful to learn about authors we’ve read. Your review was beautiful! Carmen, thank you for stopping by and commenting. 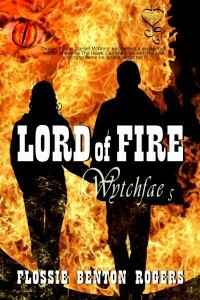 I appreciate your wonderful review of Lord of Fire. You are amazing! Wonderful post. Flossie gave some very important suggestions for beginning writers. She is also the goddess of the fantasy genre. Yes, Loretta, Flossie certainly knows her goddesses and the writing I industry. Budding authors can definitely learn from her as I did as well as from you! Thank you for stopping by and for your lovely comments, Loretta! Great blog from two of my fascinating fellow colleagues. You guys really do share a lot of similar beliefs and interests, and I loved learning more about them. Thanks! Great Twitter info. Great blog from two of my fascinating fellow colleagues. You guys really do share a lot of similar beliefs and interests, and I loved learning more about them. Thanks! And I needed to hear that Twitter info–again. Thanks Jennifer! It’s anazing how the same themes come thru in very different genres! Thank you, Jennifer! It’s true–twitter can be our friend. Great blog from two of my fascinating fellow colleagues. You guys really do share a lot of similar beliefs and interests, and I loved learning more about them. Thanks! Awesome informative interview. I’m familiar with healing stones and chakra, and tarot, but what is Reiki? Hi Linda! thanks for stopping by! Reiki is energy healing, where the practitioner does light touch or hovers over the chakra points, energy centers of the body, that hold congestion, pain, emotional stress. I’m a certified Reiki practitioner. By removing blockages and balancing the chakras one can feel more energy flow through the body and become less fearful, nervous, anxiety ridden and in general be more positive and calm. Linda, thanks for stopping by and what a great question! Ronnie explained it, but I want to add that we spontaneously and naturally use Reiki energy at times. For example, mothers kiss little boo boos to make them better. It’s nature’s touch. I became a Reiki master via classes from Diane Stein. She has written numerous books on metaphysical studies and healing, including some for pets. Wow Flossie! I didn’t know you’re a Reiki Master! Super cool. I’m level 2. I love Diane Stein’s work and have studied her, too. You and I seem to have more interests in common. Awesome!